Samsung Electronics has finally decided to use dual camera and started a process that will start to change cameras that are used for its Smartphones. 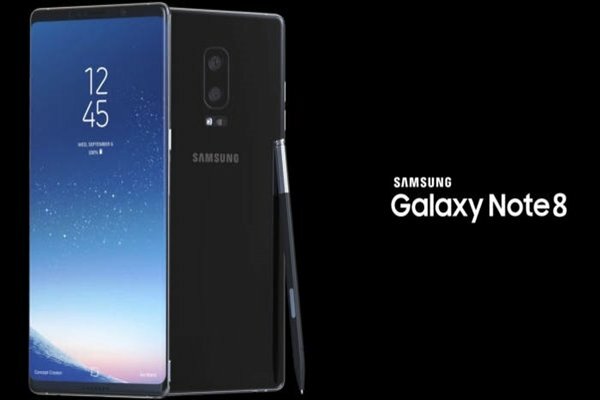 According to industries on the 13th, it is confirmed that Galaxy Note 8, which is going to be released next month, will be equipped with a dual camera. This is the first time when Samsung Electronics’ Smartphone is equipped with a dual camera. Galaxy Note 8’s dual camera is composed of an optical and telephoto cameras that use 12MP dual-image pixel sensor and 13MP sensor respectively. They are both applied with OIS (Optical Image Stabilization) technology and one of their characteristics are 2x optical zoom. Dual camera takes a picture with two cameras. Not only dual camera can take optical and zoomed pictures but it also makes recognition of distance and composition of high-quality images, which were not possible for previous cameras, possible. It either makes a person in a picture stand out more by making the background blurry or composes images that are taken with low light and provides images with brighter quality. It does not artificially fabricates pictures but it is a high-quality technology that makes characteristics that are wanted from actual images stand out more. Samsung Electronics had not been too high on using dual camera and it is actually using it later than Huawei and Apple. It seems that Samsung Electronics has focused on securing technical stability and degree of completion rather than becoming the first Smartphone manufacturer to release a dual camera. Actually Samsung Electronics’ Smartphones will start to use dual cameras more starting with Galaxy Note 8. It is understood that Samsung Electronics is planning to use dual cameras for its flagship models and middle-end products. It is currently looking into equipping new products that are expected to be mass-produced this 4th quarter and new Galaxy A, which is expected to be released in 2018, with dual cameras. It is basically looking to replace cameras of entirety of its Smartphones with dual cameras. Dual camera’s impact on back-end industries such as Smartphone parts manufacturers is significant. Unit cost of a dual camera module is 1.5 times more expensive than a single camera module. Also dual cameras are going to be needed more if Samsung Electronics decides to equip them with its middle-end Smartphones in the future. It is likely that this will trigger rapid expansion of related markets and industries. Dual cameras are seen as a new turning point that will change current competitions for Smartphone cameras that are centered on quality of images as they can create new contents and added values in new areas such as VR (Virtual Reality) and AR (Augmented Reality).